Our website address is: http://www.vtbanker.com. 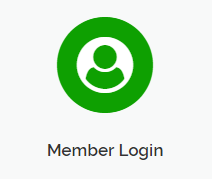 For users that register on our website (if any), we also store the personal information they provide in their user profile. All users can see, edit, or delete their personal information at any time (with the exception of usernames, which cannot be changed). Website administrators can also see and edit that information. If you have an account on this site, or have left comments, you can request that we erase any personal data we hold about you. This does not include any data we are obliged to keep for administrative, legal, or security purposes. When we erase your data, you will no longer have access to the member areas of our site.